Whether you want to meet new people, socialize, and workout all while playing soccer - this league is for you. Vaughan Women's Soccer has over 17 years of experience in running a successful and organized recreational indoor and outdoor league with divisions for both 18+ and 29+ year old women. With fully trained referees and different nights and seasons to choose from, count on Vaughan Women's Soccer to fulfill the fun, athletic and competitive side of you. Be a player in our league. We want YOU on our team! no games on the long weekends of Canaday Day, Civic Day and Labor Day. Individuals only, no teams. 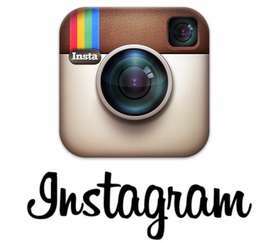 You can request to be with a friend. 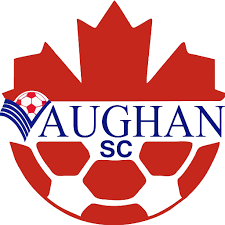 All games played at various fields in Vaughan on Monday nights at 7:00 p.m. and/or 8:00 p.m. Early bird draw not available for this division. 11 V 11 FULL FIELD - 14 WEEKS GUARANTEED - ALL TEAMS MAKE THE PLAYOFFS. Early Bird Draw: Register on or before March 24, 2019 and be entered for your chance to win your full registration fee back! No games on the long weekends of Canada Day, Civic Day, Labor Day and Vaughan Fest. Individuals only, no teams. You can request to play with a friend. $225.00 per player all fees and full uniform included ( jersey, socks and shorts). All games played at Premium fields in Vaughan on Friday nights at 7:00 p.m.
11 V 11 full field - 13 weeks guaranteed - plus finals - All teams make the playoffs. Eary bird Draw: Register on or before March 24, 2019 and be entered for your chance to win your full registration fee back! Reserve your team spot by email followed with a deposit of 2 player registrations or $450 - Limited team spots available. No games on the long weekends of Canada Day, Civic Day and Labor Day and Vaughan Fest weekend. Full teams, Partial teams, and individuals welcomed! $225.00 per player (full teams require a minimum of 18 players) All fee's and full uniform included ( jersey, socks and shorts). All games played at various premium grass and turf fields in Vaughan on Sunday's at 5:00 p.m. and 7:00 p.m.
12 WEEKS GUARANTEED - including Championship and Consolation games. Games at 8, 9 and 10 p.m.
$150.00 PER PLAYER including OSA and Ref Fee's ( full teams required a minimum of 13 players).